The tomatoes win this round. Both of our award winners today come from female country artists. They had tough competition from the men of A Thousand Horses and Brushville. 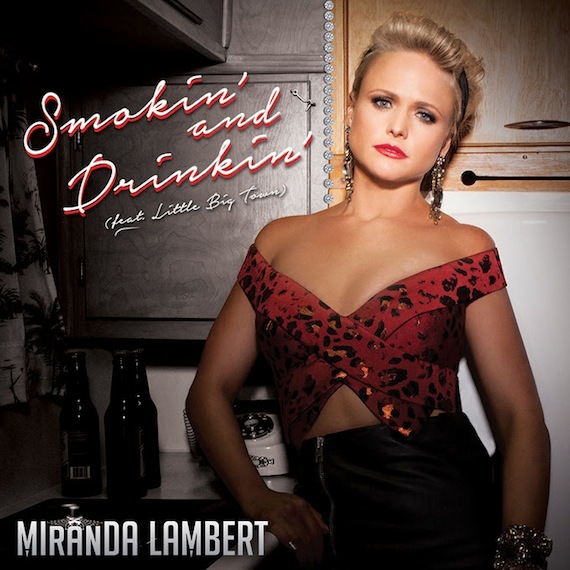 But there was no denying that the Miranda Lambert record with Little Big Town singing harmony is the Disc of the Day. Similarly, no one even touched the hem of Rainey Qually’s gown as she swept up to the podium as this week’s DisCovery Award winner. Her “Me and Johnny Cash” rocks in all the right places. 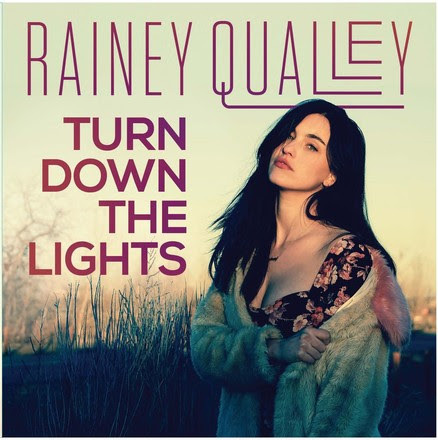 I have liked several of this gal’s upbeat, danceable, tuneful performances in the past. It turns out that she’s equally potent when essaying stirring, thoughtful lyrics. —It seems that what is “dangerous” isn’t risky driving, drinking, night swimming or even making love. It’s falling in love. Smartly executed in every way. —She was always overshadowed vocally by sisters Barbara and Louise. But in her own modest and tentative way, Irlene holds her own on this patriotic outing. —Veteran producer Vail’s latest discovery is a rootsy country romper with a personable drawl and a solid CD title song. Give this guy a deal. —The late Johnnie Johnson was Chuck Berrry’s right-hand man as a high-octane piano pounder and sometime songwriting collaborator. He was inducted into the Rock ‘n’ Roll Hall of Fame in 2001 and died in 2005. His 2003 blues sessions with the HeadHunters are now being released as a CD with this stately outing as the title tune. His piano work still captivates, and his shouted, down-home blues vocal is equally riveting. The country group proves to be surprisingly adept as an r&b backing band. —Too busy. It sounds like a cluttered demo tape. Clean up your production. —Strings sigh, a steel guitar moans and a drum kit shuffles along while electric guitar notes pierce the evening atmosphere. Languid, liquid vocals lounge in nostalgia and misty memory. Enchanting. Seductive. Dreamy. —This puts pedal to the metal and boasts a delicious backbeat, plus stuttering fiddle and banjo, deep-twang guitar and a wailing, wide-open vocal. A highway song for a red-hot summer. This is going places. —“Smoke” was a dynamite career launcher. The follow-up, due at the end of the month, is just as cool. “(This Ain’t No) Drunk Dial” is sung with rough-edged soul and shrouded in echoey, mysterioso guitars. Ear grabbing in the extreme. —Choppy rhythms, a quasi-spoken vocal with a hip-hop vibe and a minimal melody. It’s too far on the pop side of things for my taste, but I won’t deny that it’s very listenable.